I haves said it before and I'll say it again, it is super cool that Zach Braff and Donald Faison are friends in real life. Being that I am also currently enjoying "winter" in California, how could I not share this music video they put together for the holidays! 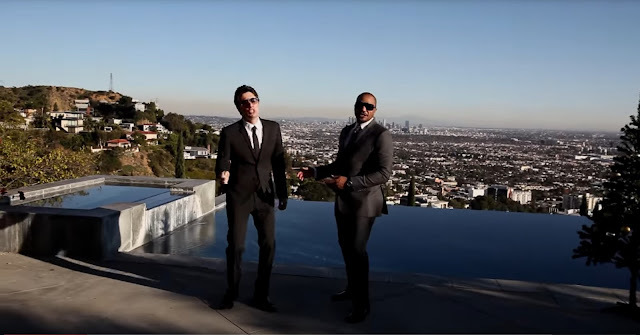 Enjoy the contrast of them singing "Baby It's Cold Outside" while in suits in the sun with LA in the back ground and no snow to be seen.